Start the morning off right! Come join us and learn more about the latest with the efforts for a local dog park and tips about wildfire preparedness. 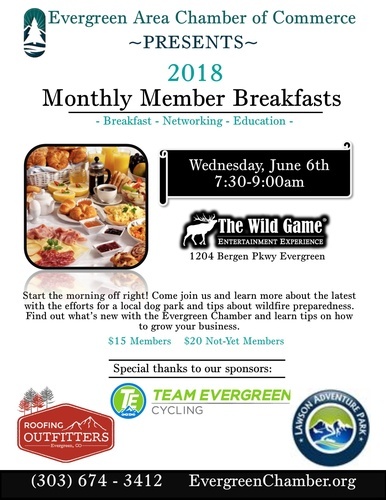 Find out what’s new with the Evergreen Chamber and learn tips on how to grow your business.